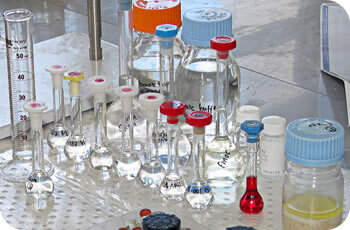 The Environmental Chemistry Department measures water and air quality characteristics. It also assesses environmental damage, for instance by measuring pollutant content in soil and water and studying accident-related pollution. Performance of waste water treatment plants is assessed via microbiological population analysis of activated sludge. If necessary, the lab also introduces new test methods, and participates in periodical national and international interlaboratory tests. All environmental chemistry analyses are done using state-of-the-art equipment and accredited test methods. Analytical test methods have been accredited by Estonian Accreditation Centre.